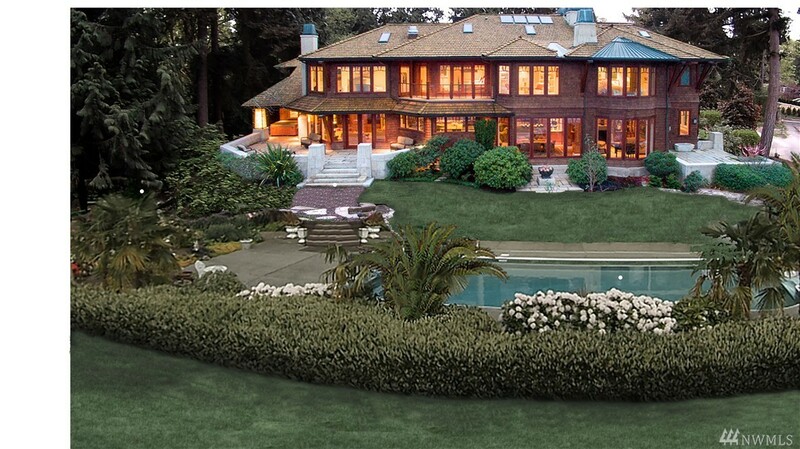 Newport Shores Waterfront Estate, architecturally amazing property sprawling over 1.6 acres of lush and level grounds. This lakeside retreat offers 110ft of prime SW facing Lake Washington waterfront with endless views and savory sunsets. Still want more? Plans have been permitted for a new construction manse that will elevate the status of this lot and command your attention. Live now, build later.Take in all the wonders of lakefront living. Entertainer's dream property. Boat, relax, and enjoy! Pre-Sale Opportunity - Introducing a fresh new modern luxury home in the heart of Enatai presented by BDR Fine Homes. Situated on a large, private lot with flat and sunny backyard. 5 Bedroom Suites + Den. Signature covered outdoor room w/ heaters, fireplace, TV, BBQ. Gourmet chef�s kitchen w/ prep kitchen. Wine grotto, media room, and bonus room w/ snack-shop. Walk to new Enatai Elementary School. Build with the BDR Team, a proud 3-time winner of the coveted Builder of the Year Award. Beautiful Custom one of a kind NW waterfront estate. this home offers and exquisite sense of unique quality in home and community! Spectacular view of Nisqually Beach. Brazilian Cherry Floors, custom Cherry Kitchen cabinets, columns and pillars offer a beautiful sense of space. Too much to list! Counters are slab granite and custom tile. Extensive outdoor living areas & ADA - separate living quarters downstairs with second laundry and kitchen with heated floors. Master with private deck. Beautiful like-new rambler in The Parks @ Silver Hawk! Nestled on a large .5 acre lot, this 3 bed/2 bath contemporary craftsman style home features stacked stone accents, covered outdoor entertainment space with gas fireplace, exquisite gray oak cabinetry, granite countertops, large eat-in kitchen with island, open-concept floorplan, built-in details, gorgeous laminate flooring, custom beam-work, and so much more! No waiting for this dream home - be home before the Holidays! 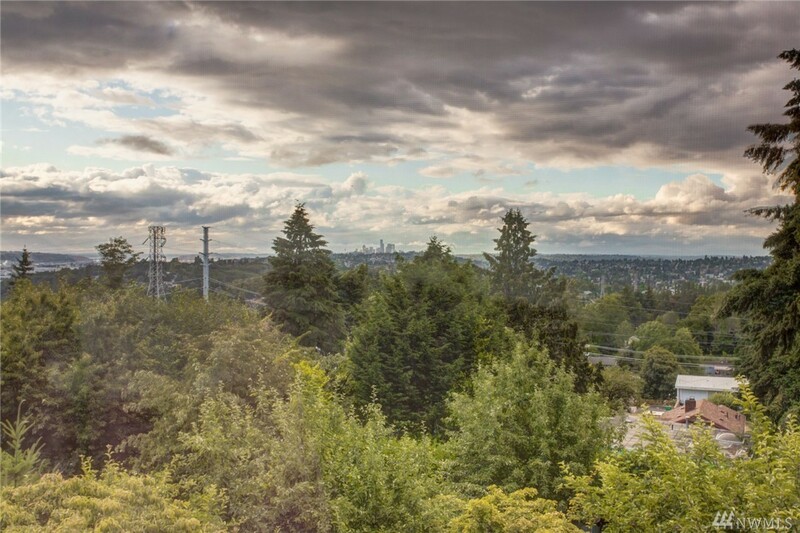 Just minutes from DT Bellevue lies an incredibly rare Park Like lot encompassing nearly an acre of land waiting for you to build your Dream Estate. Surrounded by other large lots, this setting offers an abundance of privacy. Buyer to verify all information to their satisfaction including ability to build any new structures. Current house has 4 bdrs & 2 Bths. Tagged plants go w/seller. See virtual tour for additional info. Located just minutes from the heart of Seattle. Privately situated on large gated lot with lovely grounds. Fully remodeled, gated entry with detached RV parking space. Elegant formals, cherry cabinet/vanity with granite counter-top. Stainless steel appliances, 2 fireplaces, 7 bedrooms, 4 bathrooms, 2 level lawns, sweeping views of cascade mountains. Beautiful garden space with plenty of fruit trees. This wonderful vacant lot is located in the heart of Bellevue with a great neighborhood of businesses. It features 5995 sf feet at the dead end of the street. Medical center, offices, hotel can be built with 70 feet(which is about 6 stories) on this lot to enrich the community. Light rail will be around. Water, sewer and electric are right on the street. Survey report is ready. A few architect designs are ready as references. Great opportunity for developers and investors! Rare new construction home with half acre lot! Favorable floor plan with 4 bedroom 3.75 bath plus den, bonus room, huge recreation room and extra gust room. Special feature include all hardwood main floor, maple cabinets with granite counter top in kitchen, bathrooms and laundry room, fine railing system and oversize finished 3 car garage. Two extras unheated rooms could be wine cellar and storage room. No HOA due & sewer capacity charge. $10,000 credit for appliances and back yard improvement. Welcome home to this beautiful and charming craftsman located in coveted West Seattle junction. This well maintained home boasts a spacious 3 bedroom and 1.75 bath, with a living room, family room, and dining room. Enjoy the high ceiling and open floor plan that is great for entertaining. Step outside to a mature landscaping and a large deck for BBQ or walk to nearby restaurants. The house has so much to offer, it's a must see! A resort like home with spectacular golf course view on the 13th Fairway. Newer remodeling throughout, MIL with kitchen and separate entrance, huge deck, 2 golf cart garage, central A/C, wired generator, irrigation system, electric awning, big patio with huge fire pit, tile roof, fountains, long driveway for 7 cars, 300+ SF extra storage ....Spoil yourself with a cup of coffee on a spacious deck overlooking the golf course, accompanied by soothing sounds from a nearby creek, how can you refuse! Fabulous Pulte resale located in the highly desirable Timbers at Snoqualmie Ridge community. Open concept floor plan with a chef's kitchen, stainless steel appliances, quartz countertops, huge island & covered patio. Corner lot w/ extremely private back yard. Back yard can be extended to 2nd tier. Main floor bedroom w/ en-suite � bath. 4 oversized bedrooms on upper level & loft. Turn-key condition, exceptional location, quite street, just a block to Timber Ridge Elementary & easy access to I-90. Privacy and mountain views abound from this 4 br/3.5 bth on desirable greenbelt. Open floor plan ftrs hardwood flrs, chef's kitchen w/walk-in pantry, center island, quartz counters, SS appliances & gas range. AC + main floor bed w/bath attached - perfect for guests. Views from almost every room upstairs. Tranquil Master Suite w/elegant 5 piece bath w/quartz counters & 2 huge walk-in closets. Large covered patio w/heater perfect for entertaining or just relax in your own backyard oasis. Your story begins here� at IIIVI. Stylish residences boast a 95 WalkScore w/ countless amenities nearby. Innovative layouts provide everything you need in highly efficient living highlighted by a striking spiral staircase. High end appliances, quartz countertops, hardwood flooring, private rooftop decks...all the features & finishes that you would expect from Shelter Homes for less that $600k! INVESTOR ALERT - long term rental or Airbnb option. Great condo alternative without the high HOA dues! Pristine 7.5 acres w/totally cleared, level build site nestled among hundreds of acres of woods, offers utmost privacy & seclusion in gated Evergreen Heights. Home-site is ready w/driveway, well, power, cable & approved septic design. King county approved drain vault for water run off installed on-site. Stables w/fenced in paddock, pasture & tack rm await your horses! Panoramic 180* view of Mount Si, Cascades & more! Build your dream home on this stunning piece of private mountain view property! Available as pre-sold homes by Bios Design. Contemporary environmentally sensitive low-profile homes with access to private walking beach. Panoramic views of the Sound, Seattle city lights & Mt Rainier from all rooms. Surrounded by a coastal meadows, Gabion stonewalls tie these gorgeous homes to the natural landscape around them. 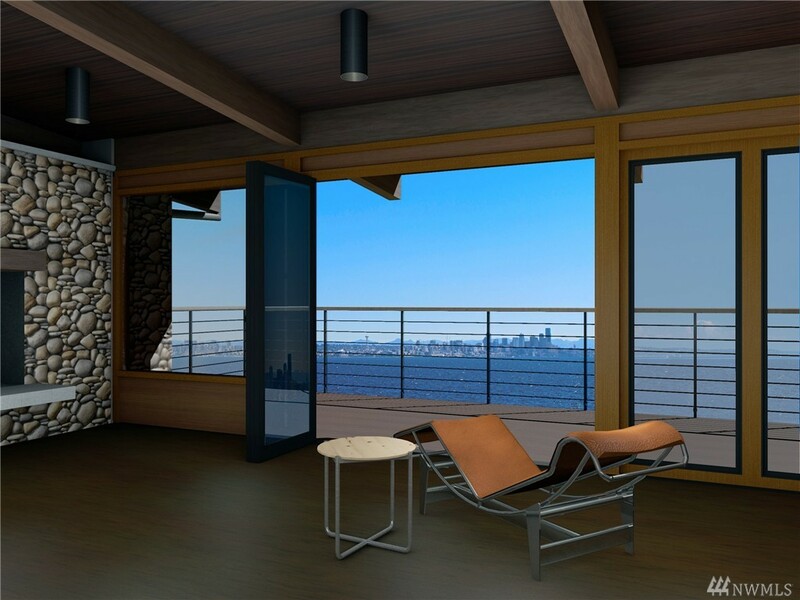 Horizontal clear cedar siding w/bronze aluminum standing seam roof, folding walls and doors allow unobstructed views of the shipping lanes, City Lights & Mt Rainier.